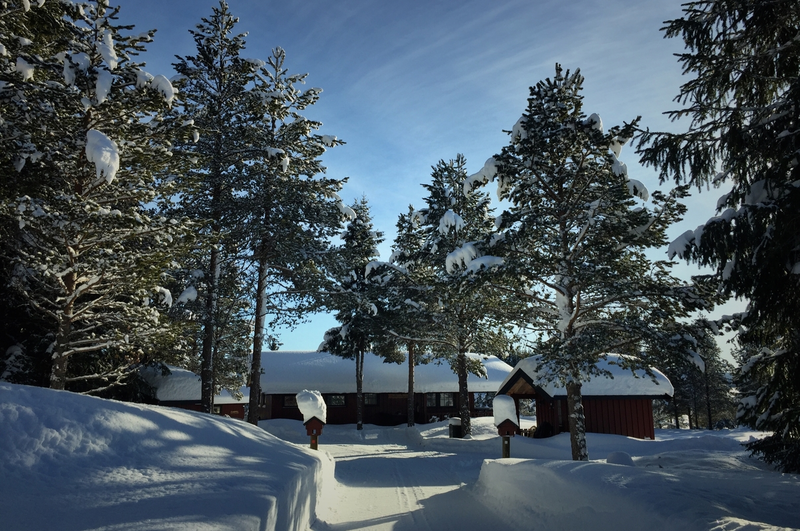 After some snow in January it is a pleasure arriving at our cottage dressed for the winter. This is in the central part of Norway only some 3hrs drive from Oslo. We build this place 31 years ago. It still have the standard of that time. IE no electricity but 12V current from 2 solar panels. Water from an outside well (working the whole year also in the winter as we get the water from ca. 6 m under the soil surface (under the frost level)). Via SMS vi can before arrival start up our Wallas oven and arrive to a warm and cosy cottage even when there is -20C as it was this day. Along the private road it is in all some 17 cottages along the 3km distance in here from the public road. In the winter the road will be plowed an open all weekends and the winter holidays season. There is fresh ski tracks for cross country skiing right by the cottage opening up for a net of ski tracks for many, many kilometers in the region.